I have another Christmas card for you, this time with beautiful elegant Deer. So, let's take closer look to how I created it. 1. First prepare the card base and use the biggest Cross-Stitched rectangle die and cut the rectangle out of white and kraft cardstock. With the scissors, cut of the white snow hill. 2. Put some white watercolor on the piece of dish sponge and drag gentle over the rectangle and card base. 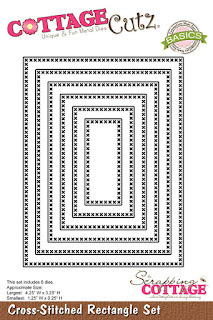 You can do the same later also on all die cuts. 3. 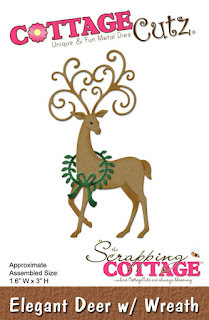 Cut the Elegant Deer out of white cardstock and color it with brown distress ink. 4. 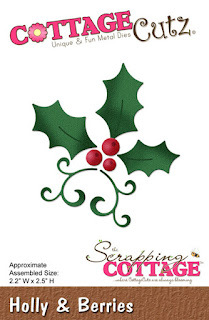 Cut the Holly and Beries out of white cardstock and color ot with green distress ink. Cut also greeting out of red cardstock. You can apply some white paint also on these pieces. Now put all pieces together as shown on my finished card! I hope you like it. Have fun creating. 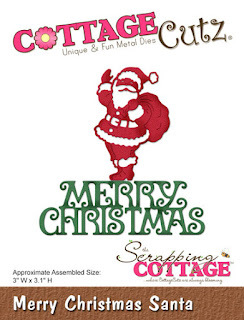 And don't forget, sixth CottageCutz challenge is waiting for you. This time theme is HOLIDAY. You can linked your project here. 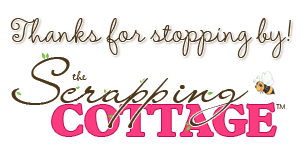 And please, use only Scrapping Cottage dies.